I got more interested in the 9-pan eyeshadow palettes from them and that’s what I have been buying recently. 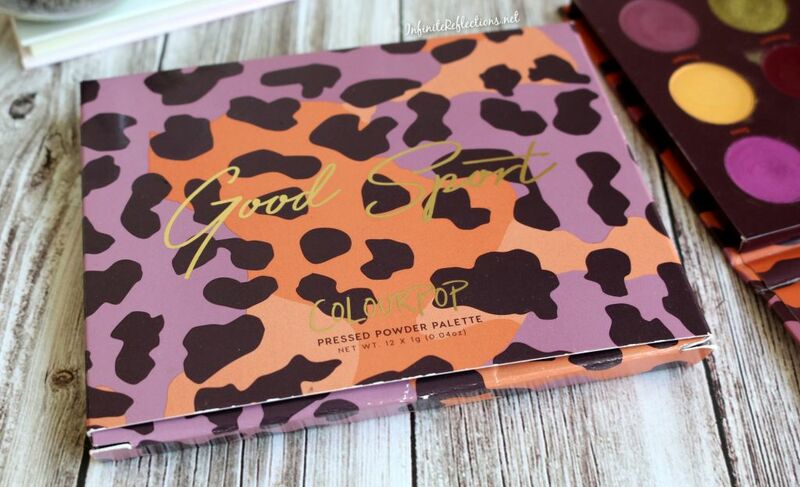 But, I have absolutely loved the Good Sport palette and I am extremely happy that I decided to get it. 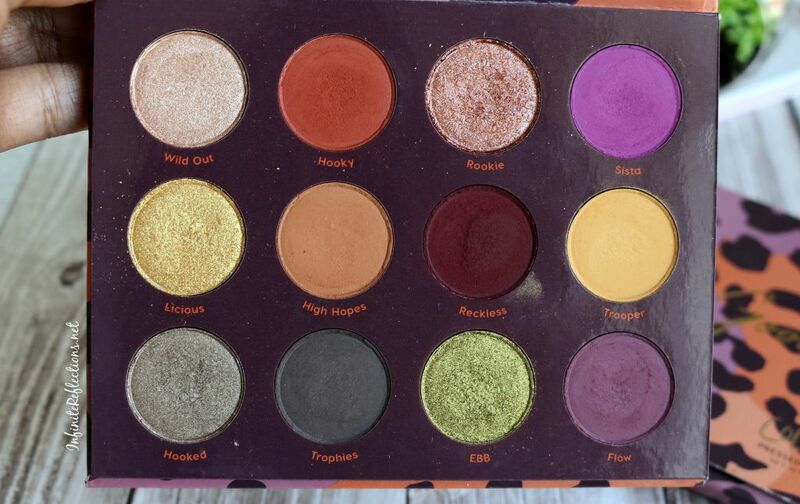 Let me share my quick thoughts on this palette. 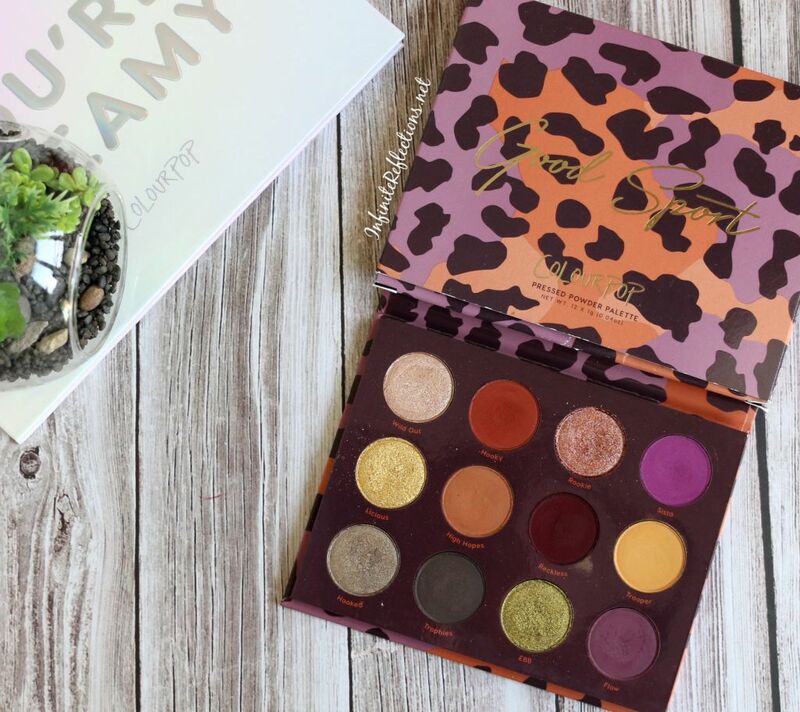 This 12 pan palette from Colourpop is a palette which is fit for the fall season. 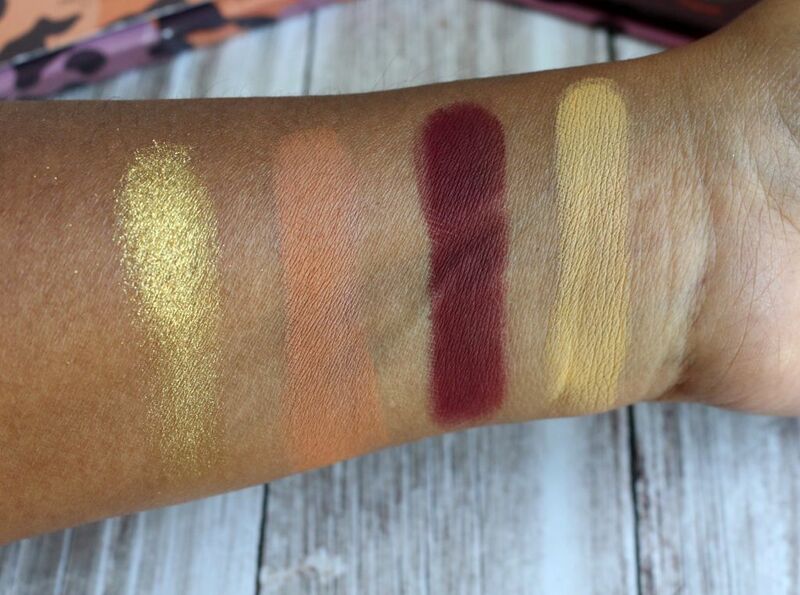 The colour story of this palette is really unique and fun with some really nice warm colours with a mix of neutral tones. I think the colors will work great even for spring/summer. I never thought oranges, purples and olive greens could look so good together. I love the tones of the shadows in the palettes and they are a bit different from other palettes having similar shades. The Good Sport palette has definitely challenged me to think and work more creatively. 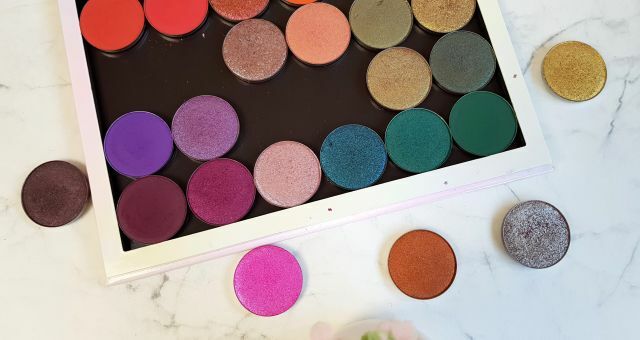 The best part about this palette is that the colours are so unique and pretty themselves that you wouldn’t have to make a lot of effort to create a different yet beautiful look. 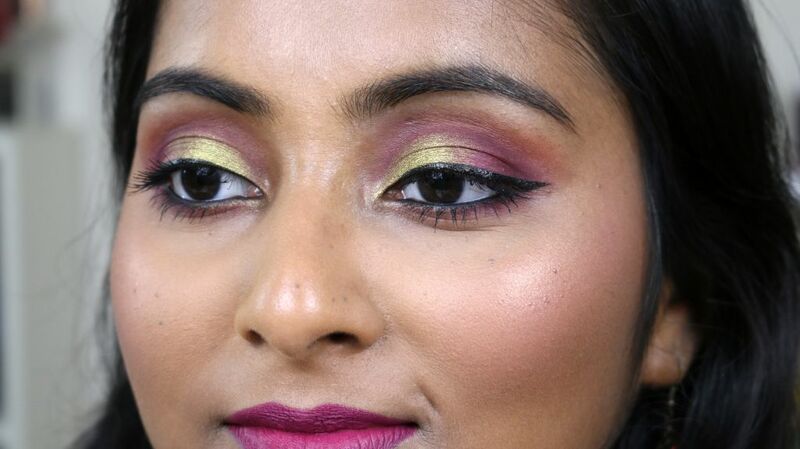 Two or three shadows – that’s all you need to get a quick, fun and pretty eye look. 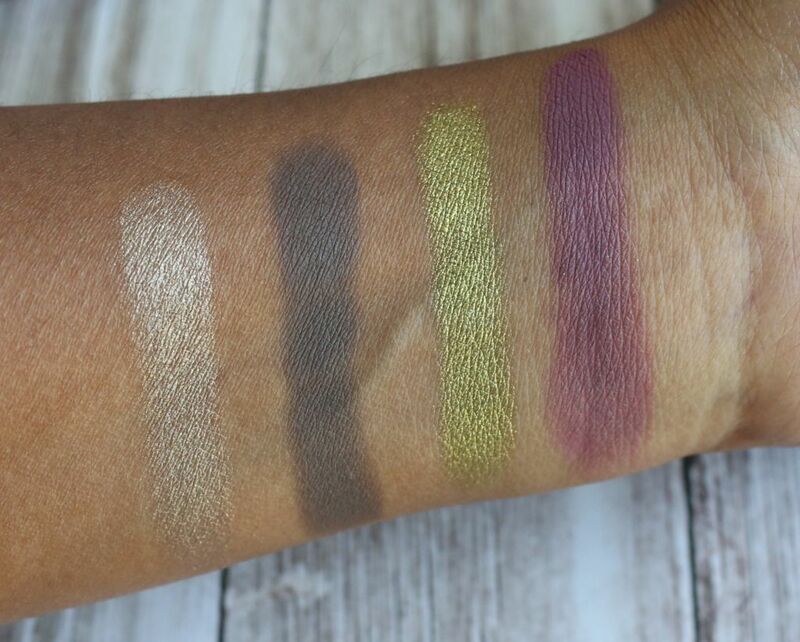 There are 7 matte shadows and 5 shimmer finishes in the palette. I love the range of colours that we get in both the categories. 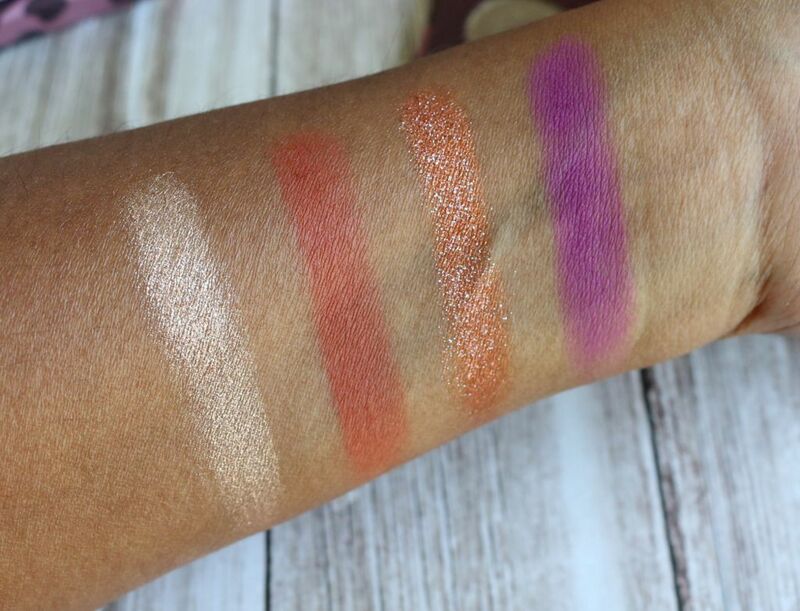 The matte shadows for the most part are very good quality – very nicely pigmented and easy to blend. Even while blending, the shadows adhere to skin well and they do not blend away. They are very easy to build up as well. 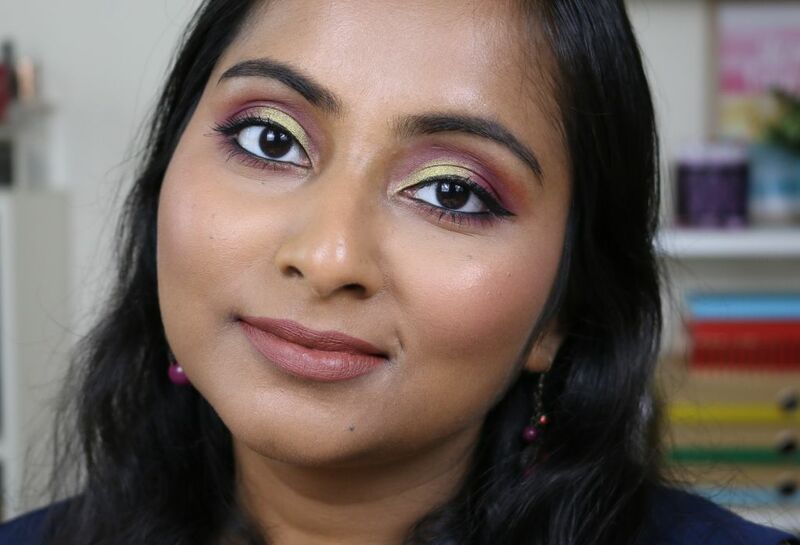 I did face a little bit of fall out with some of the matte shades but I am used to fall out from certain Colourpop shadows and I just usually work around them. 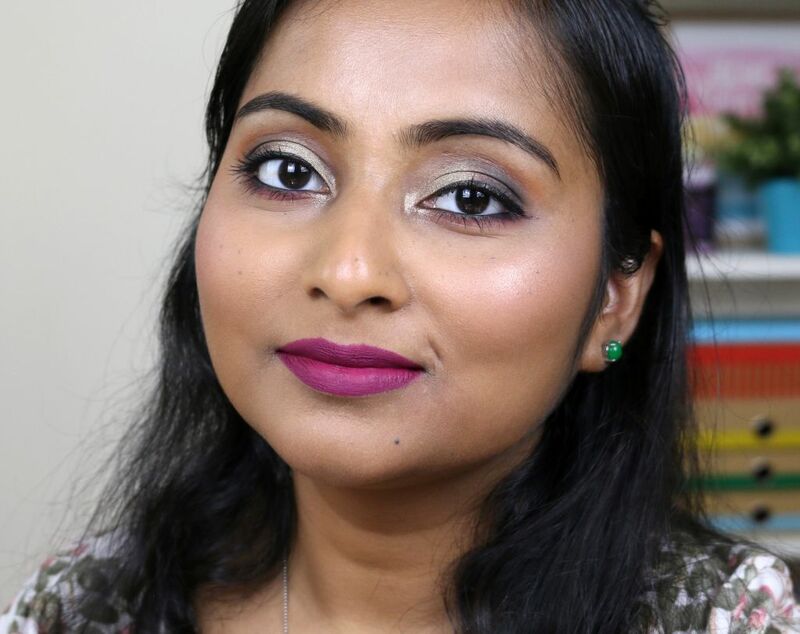 The only matte shade which I have a problem with is the deep berry shade “Reckless” which is quite dry in my palette. It gets very difficult to pick up on the brush and has a tendency to get patchy. I have to slowly build up this colour with a lot of effort. Other than that, all the mattes perform great. As far as the shimmers are concerned, I have no complains. They are buttery smooth, very intense and apply very nicely on the eyes without looking chunky. I love them and the variety which has been offered in this palette. My favourite is the shade “Rookie” which is a bright orange shade with some tiny blue glitter in it and it just looks stunning on the eyes. My only problem is also this shade because it is a tad but chunky and you might face some fall out from this shade. I carefully pack this shade on the eyes an use an eyeshadow primer underneath which helps the shadow to perform a little better. Rest of all the shimmers are gorgeous and I have no issues with them at all. This is how the shades have been described on the Colourpop website. This palette also retails for $16 as their other regular 12-pan palettes and each pan contains 1gm or 0.04 Oz of eyeshadow. 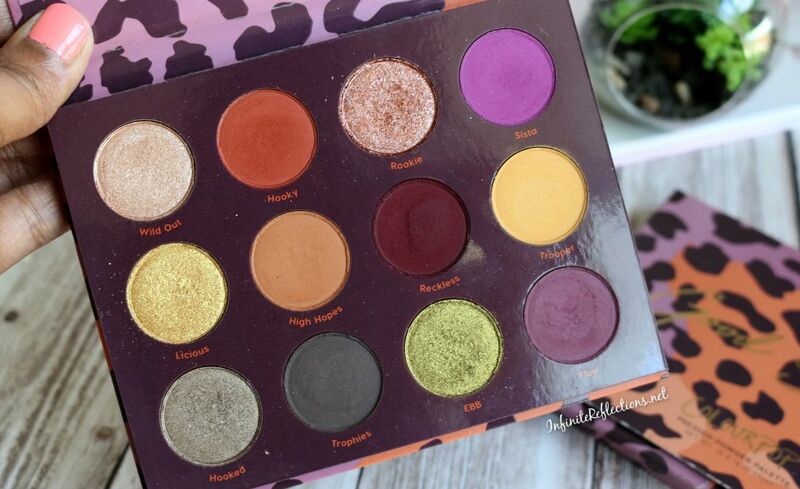 It’s a really good price and value for a beautiful and unique eyeshadow palette. I will highly recommend this palette if you are someone who wants to try out some unique colors. I have done a video on this palette on my YouTube channel which I will link below, if you want to hear more thoughts. That’s all for this post. I hope it was helpful. Pretty looks!! 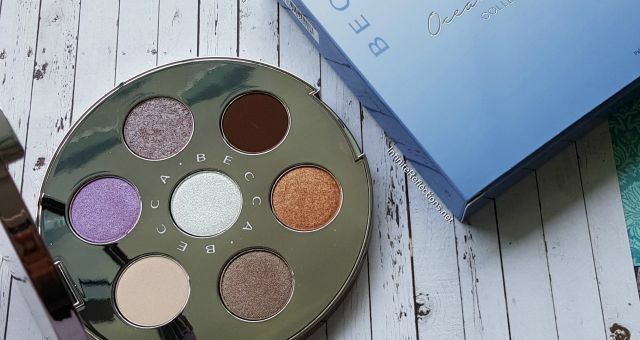 I think this palette is so gorgeous – especially the green! I don’t know why I haven’t picked it up yet. 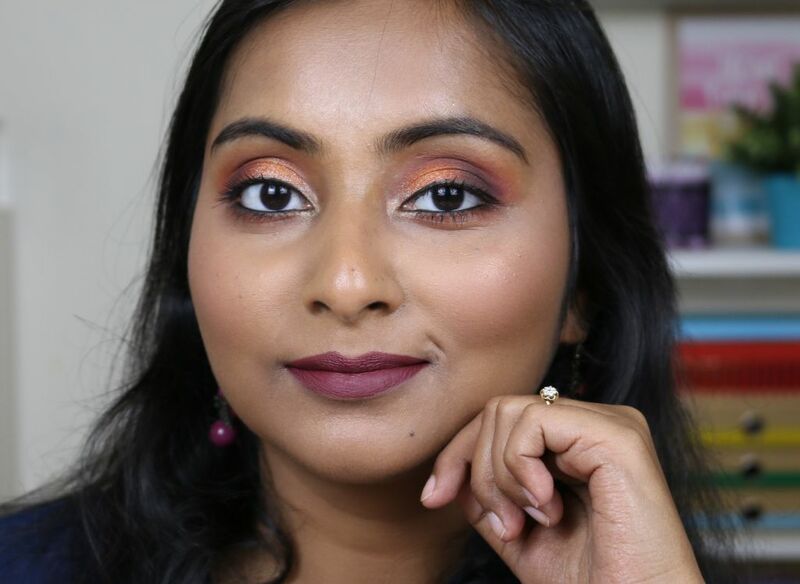 I have had a few issues with dark mattes from ColourPop. 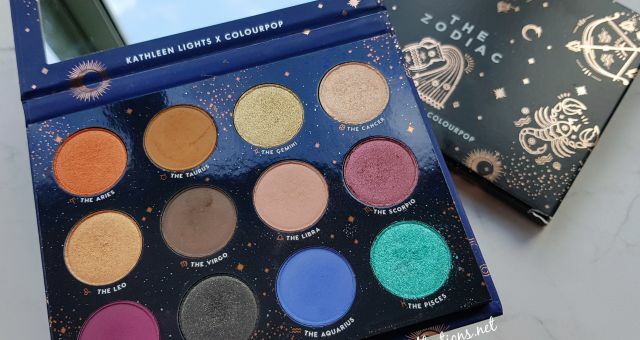 One from the KL x CP Zodiac palette and most recently the dark brown shade in the Sweet Talk palette. I don’t know what the deal is but I’m not surprised that Reckless is having issues too. I am in love with the colors of this palette.. thankfully I have deeper mattes in other palettes which I can use.. 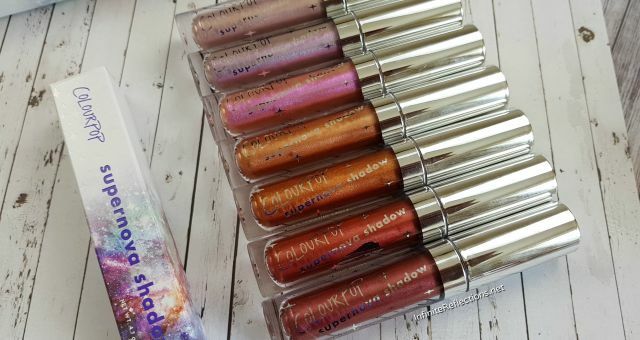 But I completely agree with you.. some deep mattes of colourpop are just weird.. Interesting that Rookie was described as burnt orange with blue glitter. I had to take a double take to see which one that was. Is it just on camera, because I can’t see the orange at all. I would have thought of it as Champagne in the pan. But then I can see it in the search. Very interesting! Oh yes its an orange.. my camera is reflecting the glitter more i think.. but on the eyes it looks more orange..